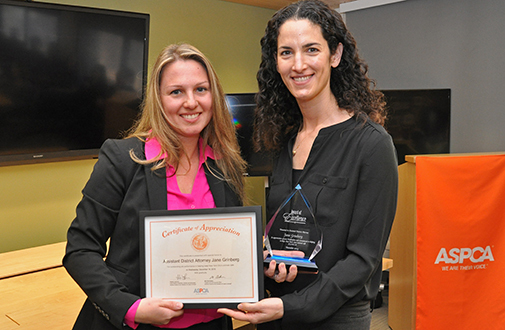 On Wednesday, December 16, the ASPCA honored ten officers from the New York City Police Department (NYPD) and one Assistant District Attorney for their outstanding efforts to support animal cruelty victims through the NYPD/ASPCA Partnership. Launched in January 2014, the partnership gives the NYPD the lead role in responding to all animal cruelty complaints in New York City, while the ASPCA provides direct care support for the victims and conducts police training and forensic analysis. 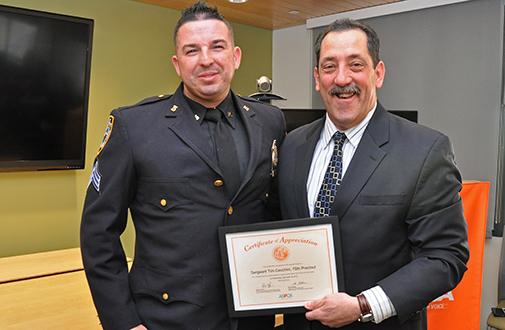 The officers and attorney were presented with appreciation awards at a special luncheon held at the ASPCA’s Adoption Center. All honorees were intricately involved in the facilitation of the partnership and played critical roles in the enforcement, investigation and prosecution of animal cruelty and neglect cases over the last two years. The NYPD/ASPCA partnership has helped save a record number of animals. 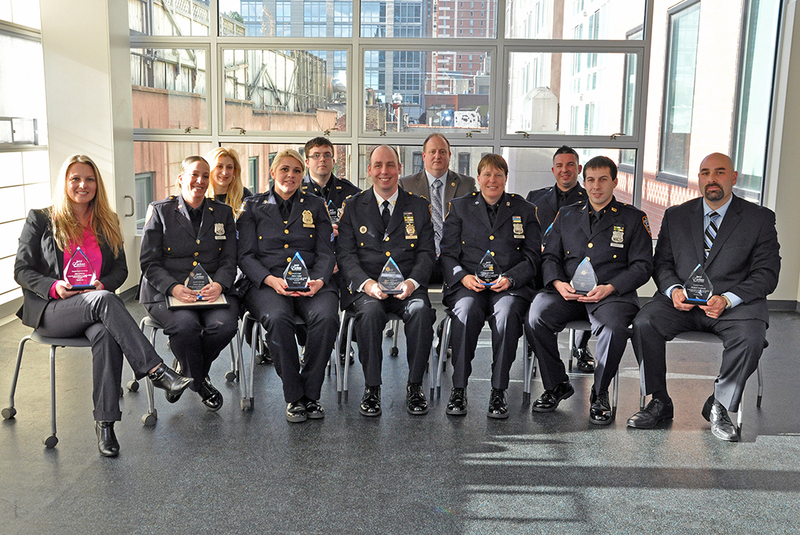 We are so grateful to these and other members of the NYPD for helping make a difference in so many lives.